Welcome back for another week’s round-up on our Instagram Diary. This week is looking a little less fraught than last week – though that probably wouldn’t be hard. I worked out the other day that, as of Thursday last week I’d slept in my own bed only 4 nights out of the last 21. It makes me sound like a slutty dirty stop-out… which I’d usually be proud to be called – but this time it just makes me feel quite tired! Anyway, hope you’ve had a good weekend. 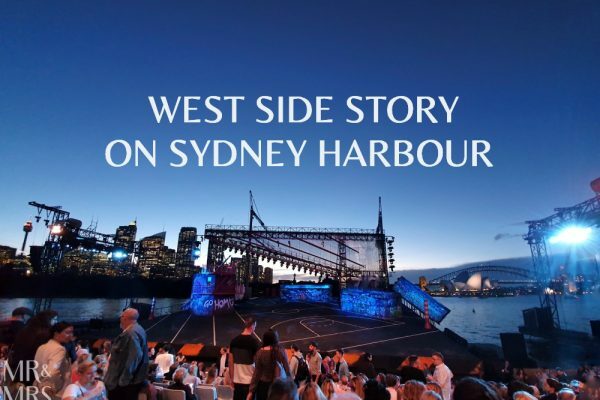 Enjoy our wrap-up. Well, this is my first ever meme. How about that?! I took this shot while we were in Mudgee recently but didn’t know what to do with it. Mrs Romance was surprised when I showed the original pic – it’s amazing what phone cameras can do these days. 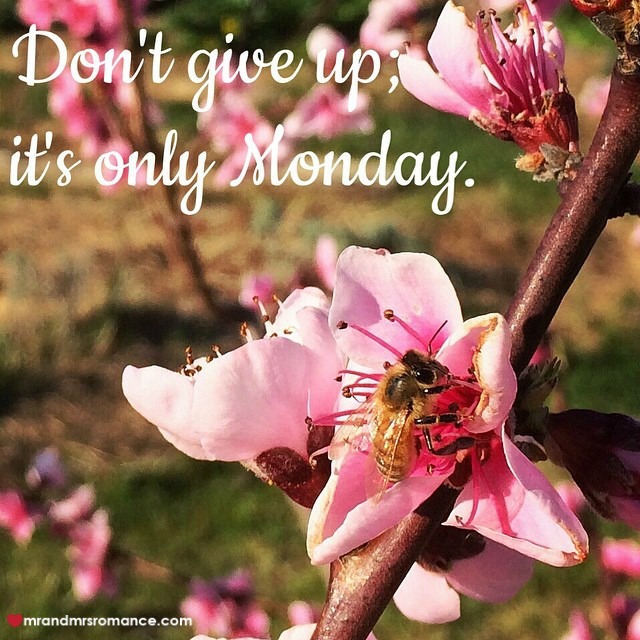 Anyway, this kind of reflects how I feel about Mondays – I like to alternate where I put the stress in this sentence: ‘Don’t give up; it’s only Monday’ or ‘Don’t’ give up; it’s only Monday.’ I’m not sure which one works the best. How about this! We’ve been together for 14 years today!! 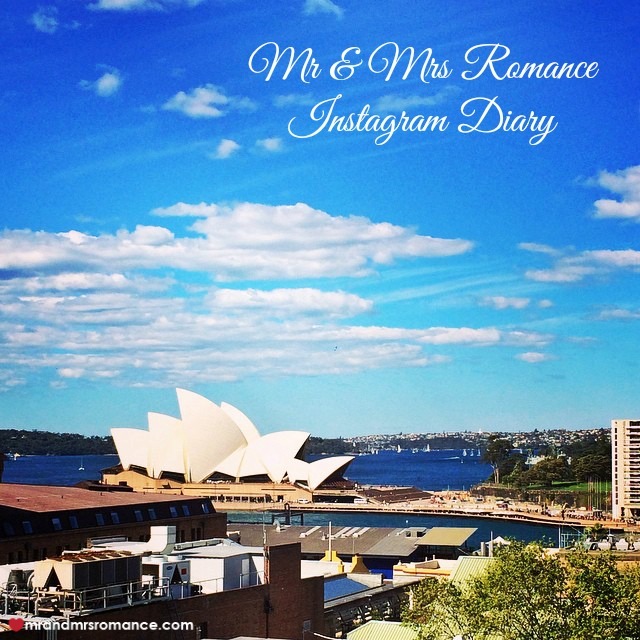 We met at a party for the Sydney Olympics opening ceremony in 2000… in fact it was a party Mrs Romance was hosting. In her office. Without her boss knowing about it. But that’s ok – she didn’t stay at that job long. Anyway, congratulations Mrs R- and here’s to the next 14 years! 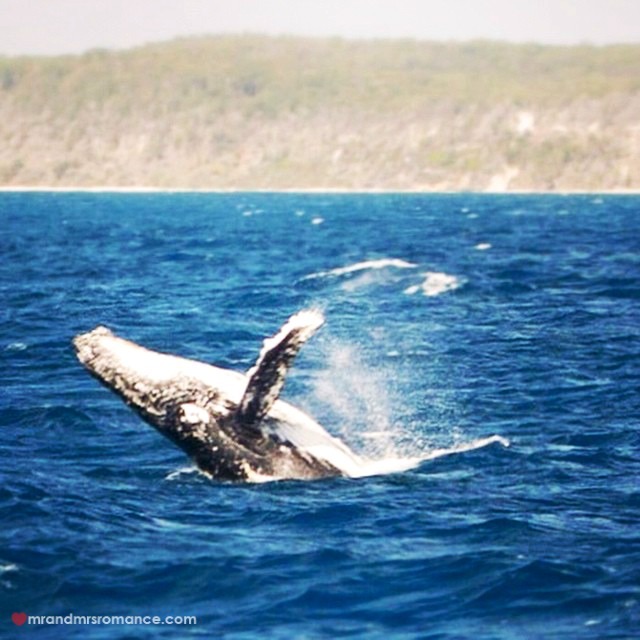 A couple of weeks ago, while we were in Queensland, we went whale watching. Such an amazing experience being so close to these incredible creatures. We were out on pretty rough seas according to the skipper, but we’d all taken our sea sickness pills. Still, one person spewed. And because it wasn’t me, I found this quite amusing. I’m sick, I know. Anyway, here’s our full story on what we saw, who we went with and things like that. There’s also a quick video we made that I’ve done a voice over for. It’s my first attempt at something like this, so no piss-taking… unless it’s funny! 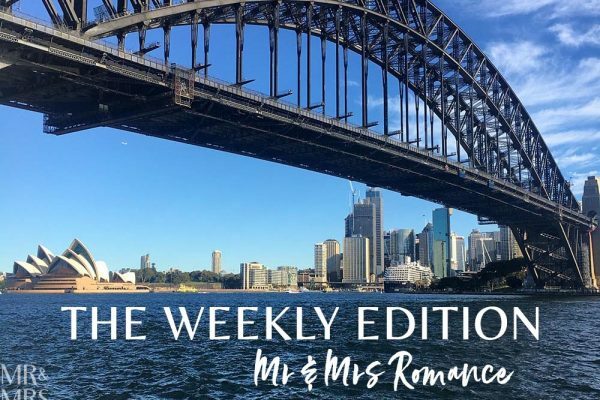 I found this up on Instagram via @TheMummyAndTheMinx and Mrs Romance just had to share it on her @HairRomance IG feed. 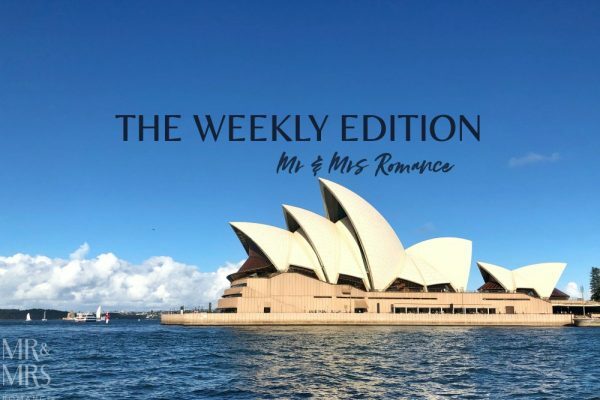 Very funny – and one of Mrs R’s most popular posts weirdly enough. 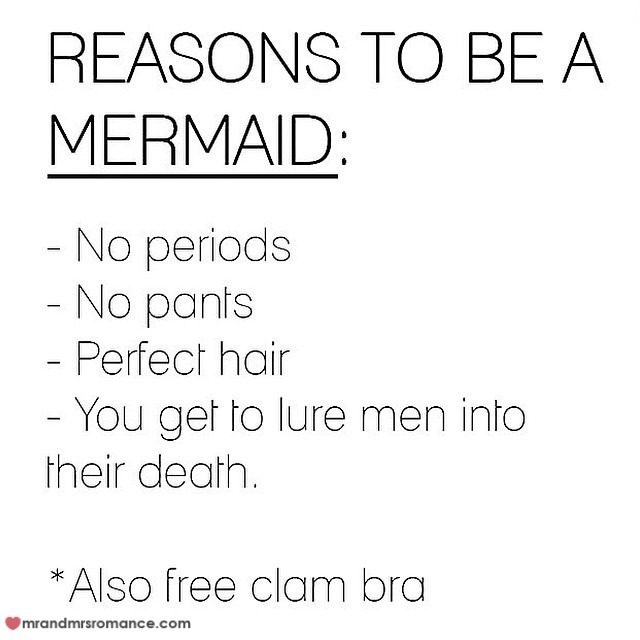 Of course, being me, I get all of these things anyway… apart from the clam bra. Might need to invest in one of those. 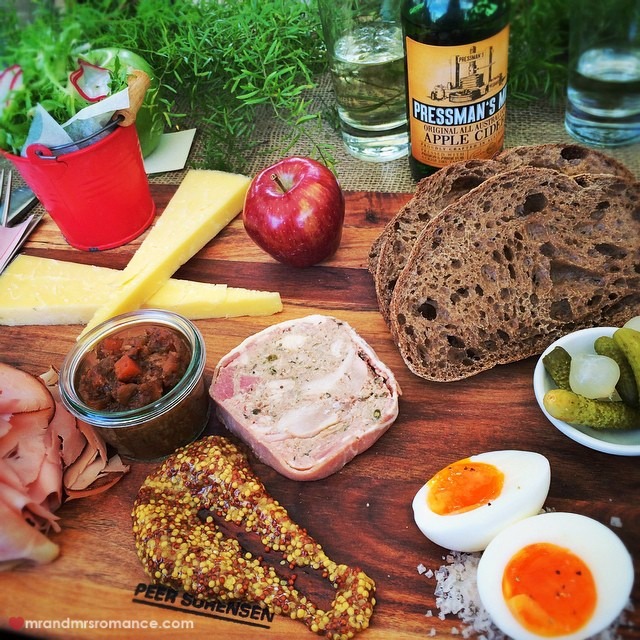 There’s nothing quite as satisfying than shovelling a ploughman’s lunch into your mouth – especially one as good as this. Today we’re at the Glenmore pub in the Rocks to meet the fine people behind Pressman’s Cider. It’s a great drop, I must say. They only use Australian-grown apples, which accounts for the fresh taste of the cider. Pressman’s also has a midstrength version, which is also pretty good. It’s 3.5% ABV so if you’re driving, it’s a good option. Keep your eye open for this cider though. It’s going to do well, I reckon. Going back to the ploughman’s, the Glenmore’s done a great job sourcing local produce to put this platter together. They’ll be doing more of these over the summer, I’ve heard, so watch out for special events here. They’re likely to run something with Pressman’s as part of the deal too. The rooftop bar in the Glenmore is well worth a visit, especially since their refurb. The title shot in this post’s one of the views from the bar. Not bad, ay? In case you’re wondering, no, I don’t end up finishing this ploughman’s. I hang my head in shame. I had to leave some of the smoked ham and some cheese… I didn’t want to, but I was in company and didn’t want to embarrass Mrs Romance any more than I probably already had! It’s Friday! Woot woot! This week’s Friday Drinks is the second of our serious of bacon infused bourbon cocktails. 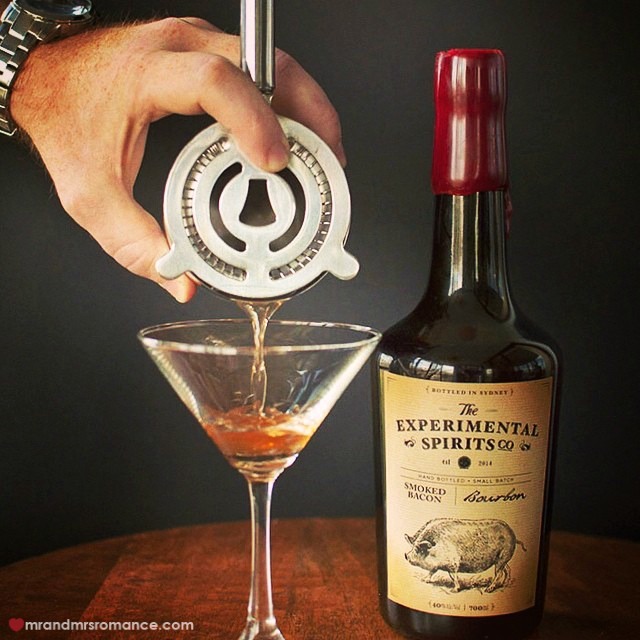 The Experimental Spirits Co. is an offshoot of the Speakeasy Group’s bars like Eau de Vie and the Roosevelt, and they’re now making this remarkable spirit. Today’s post is featuring the Bacon bourbon in a Manhattan. It’s pretty good, even if I do say so myself! It’s Mrs Romance’s sister’s birthday today, so we’re heading to a very mysterious place for dinner indeed. 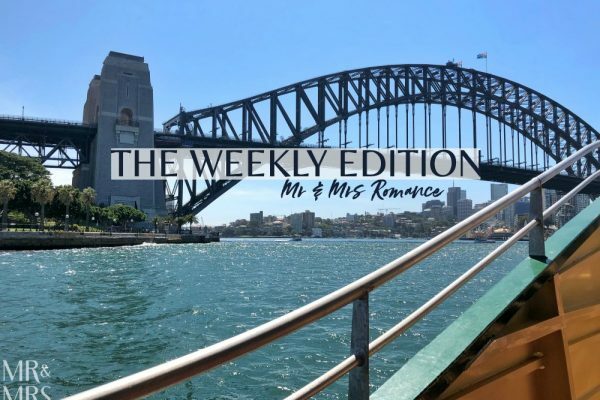 See how Mrs Romance has managed to travel from an old-style English train station to a Chinese palace to a cobblestoned Italian piazza to the Amazon jungle? Amazing, isn’t it? And it’s only possible thanks to the genius architects who designed the Bankstown Sports Club. 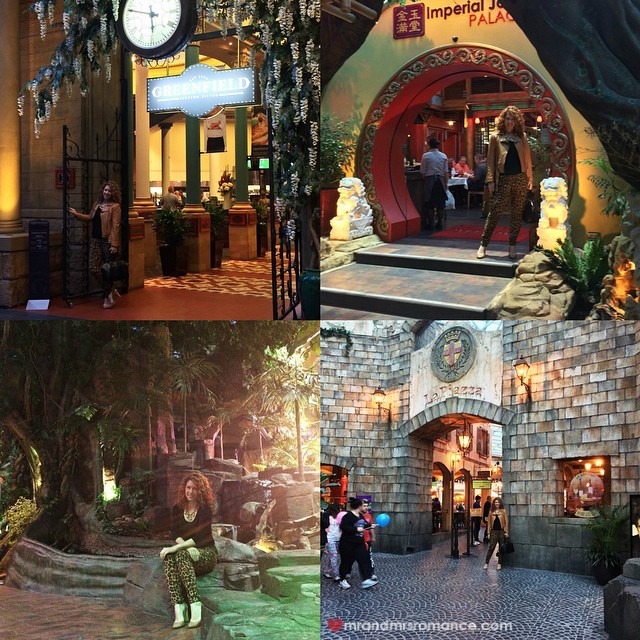 It’s certainly one of the stranger places around – kind of like a Vegas casino without the free drinks and roulette wheels. Anyway, the pizzas in ‘La Piazza’ are pretty darn good! What have you got planned for this week? Tell us in the comments! Looks like another fun week has started and the quote don’t give up, it’s only Monday is perfect. What are the benefits of being a Merman? Wish you guys the best! A fun week indeed, Nick! Glad you like the meme – I thought it was very clever – but then I’m biased! Being a Merman means you’re on an eternal fishing trip – and you get a free trident, which would be cool. Otherwise, I’m not sure. You got any ideas? How many anniversaries do you celebrate as a couple?